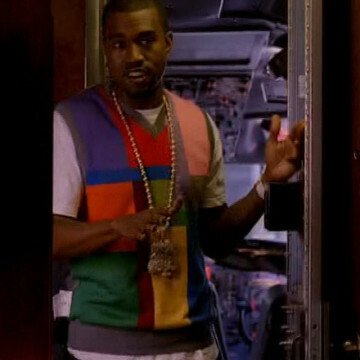 Kanye West is one of several mainstream rappers to offer an Entourage cameo during its eight-season run. He shows up near the end of the fourth season’s eleventh episode and agrees to fly the Medellin crew to Cannes after their previous flight arrangements fall through. Kanye’s double platinum single Good Life played over the episode’s end credits more than a month before the track’s official release.